As you know, I love photography and contests ^^ For the first time, I won the 4th place of The Petals Contests: #yellowflowerday. Our weekly selection 16. The Winners!. Thank you @petals =D!!! I am so happy !!! I love this kind of competition because you can discover the exceptional work of the Steemians and reward it. It's also another way to interact with new people who share the same passion. By the way, I'm thinking about a new contest so stay connected my friends! Today I'm a challenger and this is my entry for the #yellowflowerday contest by @petals! This is a wonderful idea of two amazing photographers @adrianobalan and @sardrt. To know more about this contest, click here! ^^. I love to find this kind of wonderful gift on my way in l'Escala (Catalogna, Spain). There are a multitude of beautiful flowers to see and I wanted to capture his image to keep it in my mind and share it with you especcally for this contest! Flowers put on color and love in our lives, we must take care of them! Thank you @petals for organizing this kind of contest I find it really fun! Have a nice day and Good Luck to all the challengers! I NEED YOUR HELP STEEMIANS! As promised I will organize a new contest soon! I would like this time to increase the earnings to have more rewarded winners. For example, a big price for the 1st one but also prices for the 2nd, 3rd, 4th and 5th. I saw the quality of the photos in my last contest and I must say that I was very frustrated about not being able to give more prizes. I saw that there is sponsorship for other contests here in Steemit. I would like to understand the way these contests receive these funds. You are actually sponsoring contests or want to help with me with next one. You know the way the sponsorships are made and can help me to understand it better. You know Steemians that usually bring funds to the contests prize pools. I hope in a close future to be able to build big prize pools and bring these contest to the next step. The goal is to reward quality work on this platform. Of course this time I will be more demanding on the rules to avoid the plagiarism of photos. I saw that it was done a lot in the competitions and I refuse to reward work that would not be original! Thank you for your support and see you soon for a new contest !!! If you liked reading this article or enjoy the pictures, feel free to FOLLOW ME, UPVOTE and RESTEEM! It's always pleasant =D. Thank you all for your support. See you soon for new flamingirl's adventures in the Canary Islands!! It's Sining & grow only sunlight. Wonderful photography @flamingirl. Awesome image of an absolutely beautiful flower. Love the enwrgwtic petals and the two colored blend. Keep up the good work. 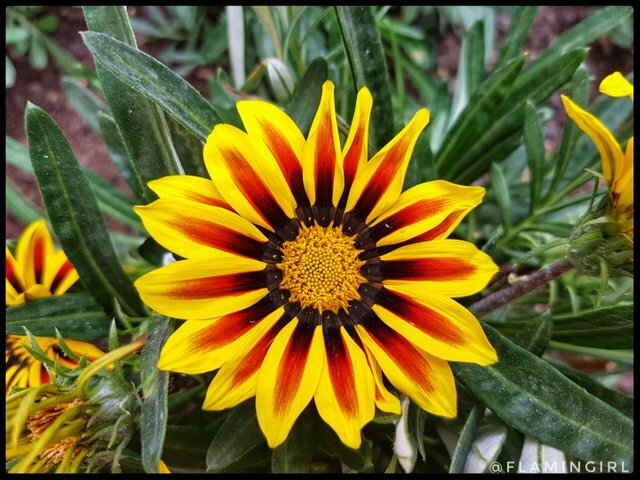 Thanks @kamrankhan900 and now thanks to @sallybeth23, I know the name of this flower is called Gazania =D. Just a question : why are your comments always double? 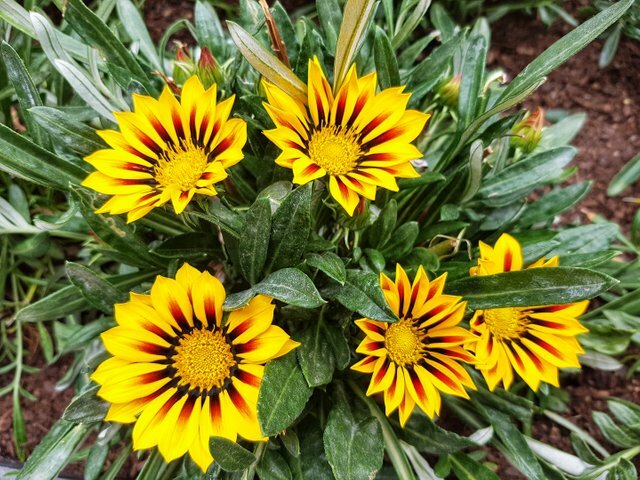 @flamingirl To tell the truth, yellow flowers attract people, and besides this flower can not be said to look so beautiful, what is the flower?where are this beautiful flower??? I congratulate you for your achievement, I do not doubt that you will continue to win, these flowers are beautiful, I loved them. Today I have also a post of yellow flower! This is a very interesting contest, I really like this kind of contest. Thank you soooooo much my friend! btw how did you took this pic. 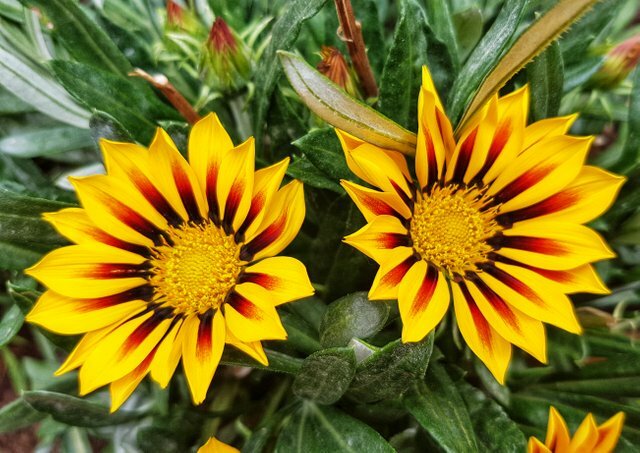 did you use any professional camera or just with your phone because the pic quality is also damn awsome..
Gorgeous yellow flower shots. I love yellow flowers the most. Like you said, I think this contest is so much fun and it brings happiness. I also like yellowflower. You have a graet choice. Thanks, for sharing.